Upon arrival at the Goa Airport/ Thivim Railway Station, meet our representative who'll assist you in smooth transfer to resort by sharing Ac Coach. In the evening, you are at your own leisure. 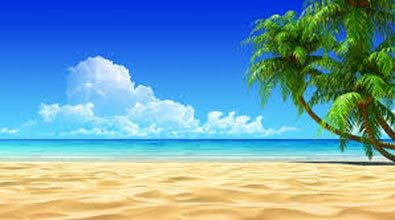 Enjoy the beach activities or go exploring. Overnight stay in the resort. Aguada Fort & Lighthouse: Fort Aguada and its lighthouse is a well-preserved seventeenth-century Portuguese fort settled on the Sinquerim beach, overlooking the vast expanses of Arabian Sea. The fort was built in 1612 to guard against the Dutch and the Marathas. It was a vantage point for the vessels coming from Europe at that time. The fort ruins are the perfect lookout to the confluence of the Mandovi River with the Arabian Sea. 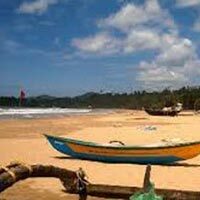 Vagator Beach: Picturesque beach with enchanting loneliness and scenic grandeurs. 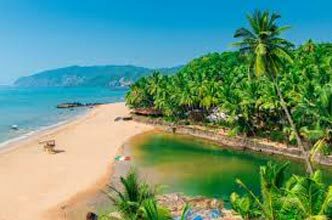 Adjoining the famous Anjuna Beach, Vagator is a little more laid back, though still pretty much steeped in the rave culture. The tourist traffic is predominantly Western backpackers; however it has also become popular with Indian tourists, who particularly come to watch the sunset from the rocks. 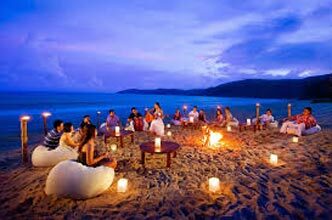 Anjuna Beach: Popularly known as "Hippies Paradise", Anjuna is a small Village in Goa which is famous for its picturesque locale and the Party culture. Located in the Bardez taluka of North Goa, it is one of the 12 Brahmin communities here. 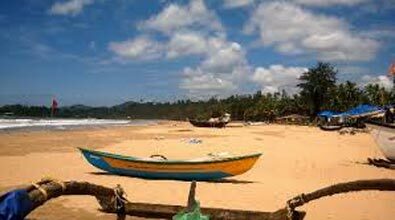 The beauty of the beach comes form the combine effect of white sands and the red laterite rocks. 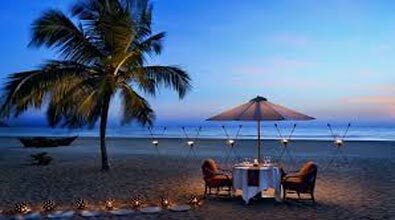 Calangute Beach: Goa's most famous Golden beach, Calangute is rightly called as "Queen of Goan Beaches". 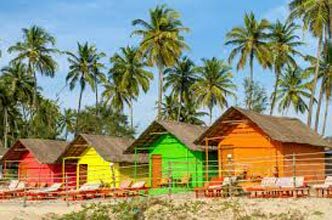 The busiest and most commercial beach in Goa, it is full of foreigners tanning themselves on the endless rows of side-by-side sun lounges. Filmi Chakkar (Optional): Filmi Chakkar (Optional): Boat tour to places where most of the movies have been shot. Come back to Resort by 5:00 pm. Old Goa Churches: Ancient capital famous for world Heritage monuments. Basilica of Bom Jesus: First minor Basilica in India wherein the mortal remains of St. Francis Xavier kept in Silver Casket. Se Cathedral: The most imposing of all the churches, it overwhelms the visitors with its grandeur and awesome presence. It's dedicated to St Catherine. Shri Mangueshi Temple: One of the Most Prominent temples of Goa dedicated to Lord Shiva. 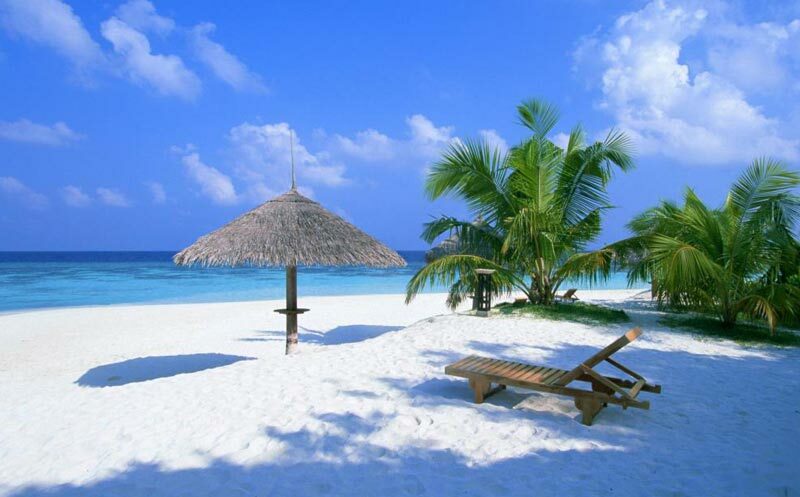 Miramar Beach: A lovely golden beach of soft sands, along blue Arabian Sea. Dona Paula: An idyllic and picturesque picnic spot overlooking a fine view of Zuari Estuary and Marmagoa harbour. After Boat Cruise Drop to the Resort for an overnight stay. Post breakfast in the morning, check out of the hotel and drive to the airport/ Railway Station for your onward journey.